The Atlantic, Framing the Warren Commission, Sept. 16, 2014. The Atlantic approvingly profiled a comic book team that teaches youngsters about the case with a book narrative driven by the artists’ perception that Oswald looked “like a perfect little twerp of a villain.” Can a graphic novel really convey the complexities of America's most controversial assassination and the era that gave birth to it? Noah Gordon In The Warren Commission Report: A Graphic Investigation Into The Kennedy Assassination, Dan Mishkin, Ernie Colon, and Jerzy Drozd conduct a visual investigation into the killing of a president and the plot behind it. A medium best known for the likes of Batman and Wonder Woman, the graphic novel seems like maybe a strange choice for someone looking to examine a somber day in American history. But this is a more serious study than some readers might expect. 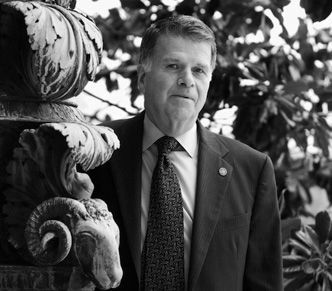 A former top congressional investigator into the 1963 assassination of President John Kennedy is seeking hidden CIA records after alleging the agency lied to thwart the last official investigation of the murder 35 years ago. militants to take over, with the chaos now so severe that the United States and other nations have abandoned their embassies in Tripoli. The likelihood would have been that a parallel intervention in Syria would have resulted in a similar catastrophe, although arguably worse, given Syria's central location in the region. Al-Qaeda's flag might very well be flying over Damascus. However, given the neocon-dominated "group think" of Washington, all the "smart" people endlessly repeat the meme that if only Obama had escalated U.S. military support for the "moderate" Syrian rebels earlier, everything would have worked out just great. It is time that either Congress, or the Justice Department, conduct a real investigation of the CIA. Indeed, in my opinion, it is long past time. JFK Facts, Why the liberal press ignored the 50th anniversary of the Warren Commission, Jeff Morley (at right), Sept. 29, 2014. The 50th anniversary of the Warren Report is, among many things, a reminder that much of the country does not have faith in the efficacy and integrity of the federal government to provide an accurate account of JFK’s death. In other words, the 50th anniversary of the Warren Commission’s report was a reminder to the journalistic professionals that their perspective on this highly symbolic issue is not credible with most people. For us people who want to be, somehow, in the business of truth, that’s not a happy thought. So superbly talented and exquisitely liberal-minded reporters and editors avoided the subject. While most Americans think it likely that someone in a position of power used assassination to advance their goals in 1963, a declining profession is clinging to the obsolete story that one man alone killed JFK for no reason (and then another killed the first guy–for no reason). It is an odd faith. Or is it a symptom of decline? 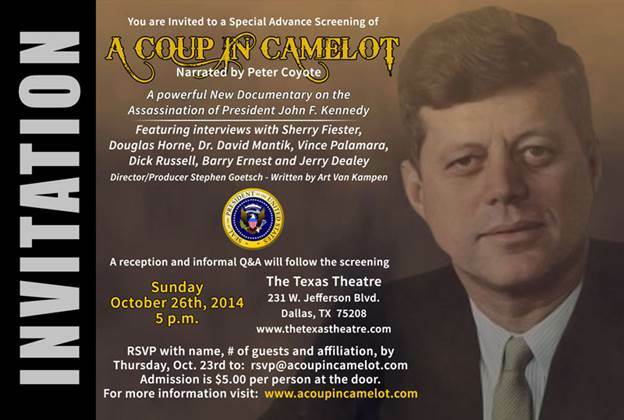 Citizens For Truth In the Kennedy Assassination (CTKA), The Conspiracy the Commission Couldn't Find, James DiEugenio, Sept. 24, 2014. In this final installment of a five-part series, we center on information that most certainly indicated a plot in the JFK case. Almost all the material discussed here was available back in 1964. The problem was that the agencies that the Commission relied upon were not forthcoming in forwarding the facts to the Commission. 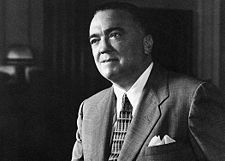 In other words, the Commission was more or less at the mercy of men like J. Edgar Hoover at the FBI, James Rowley and Elmer Moore at the Secret Service, and Richard Helms and James Angleton at the CIA. Since those three agencies provided the overwhelming majority of information to the Commission, the investigation was doomed from the start. Item No. 51 (out of 63): Within 72 hours of the assassination, David Ferrie was trying to deny his association with Oswald. And he broke the law to do so. 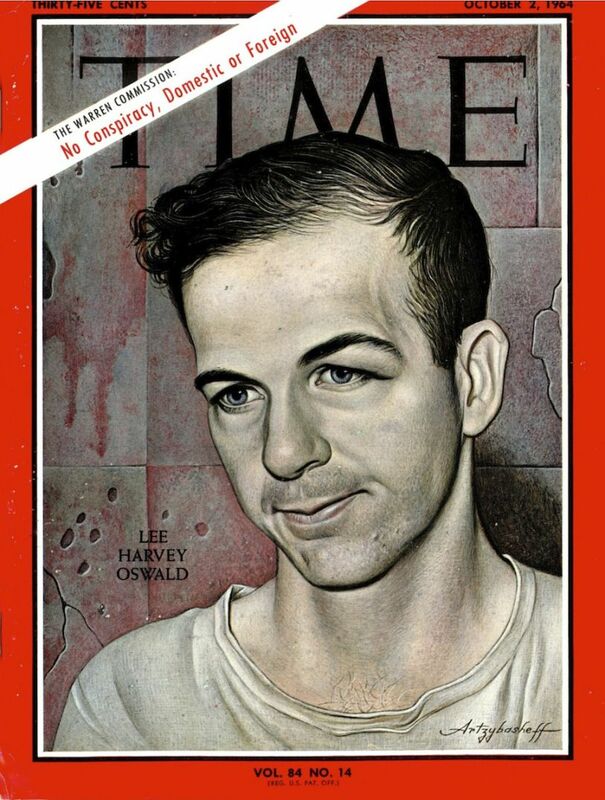 After Jim Garrison turned Ferrie over to the FBI, Oswald's longtime friend and colleague lied his head off to the Bureau. He said he never owned a telescopic rifle, or used one, and he would not even know how to use one. 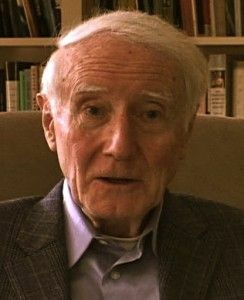 Considering his activities as a CIA trainer for the Bay of Pigs and Operation Mongoose, these were clear deceptions. Every one of these statements was a lie. Further, it is a crime to perjure yourself to an FBI agent in an investigation. That Hoover, shown at right, did not indict Ferrie, shows that: 1.) He did not give a damn about Kennedy's murder and 2.) The Commission was at his mercy. We will stop at 63 pieces of evidence, for two reasons. First that is ten more than Vincent Bugliosi brought up in Reclaiming History to indict Oswald. And ours are much more solid and convincing than his. Second, it's the year Kennedy was killed. And as many studies have shown -- e.g. Larry Sabato's in The Kennedy Half Century -- the vast majority of Americans felt that something went awry with America after Kennedy's murder. We agree. So although we could easily go to one hundred, 63 is a good number to stop. 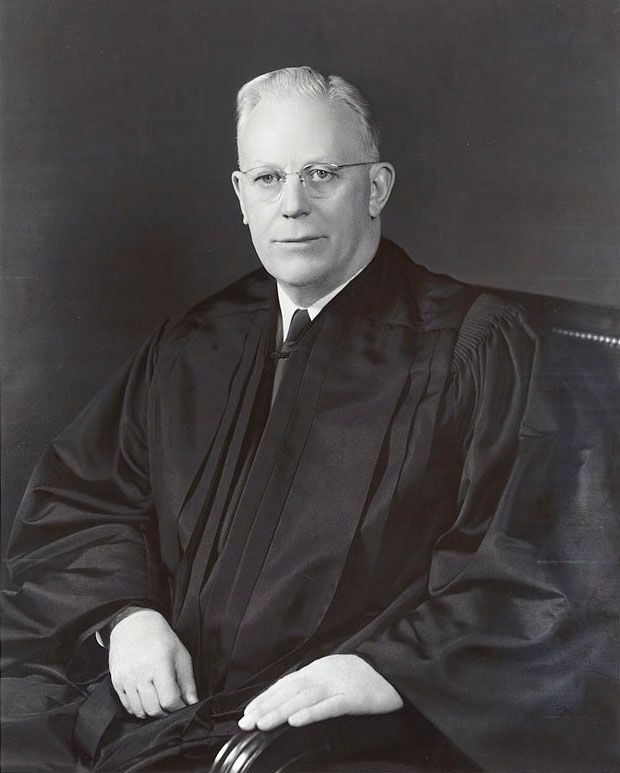 JFK Facts, Jefferson Morley, The lawsuit was filed last week by the conservative watchdog group Judicial Watch on behalf of author Max Holland. 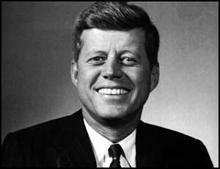 The records may well contain information related to the assassination of John F. Kennedy. I don’t agree with Holland on many aspects of the JFK story. I think the CIA’s publication of his work diminishes his credibility while usefully exposing the agency’s defensiveness on the subject. But I wholly support this lawsuit and commend him for filing it. These are important papers that by law belong in the public record. If it takes legal action by contrarian scholar and a conservative legal foundation to force the Kennedy family to obey the law, so be it. JFK Facts, 1,100 JFK documents ignored in Obama’s push to open records, Jefferson Morley, May 14, 2013. The Obama administration has declassified 175 batches of long-secret government records, the National Declassification Center announced last week, a milestone in a government-wide push to make public 404 million documents that have been deemed unnecessarily classified. Yet the NDC effort will not make public 1,100 long-suppressed CIA records related to the assassination of President Kennedy. Why not? The National Archives says the CIA lacks the “time and resources” to review the records, which were known to, but not reviewed by, the staff of the independent Assassination Records Review Board in the 1990s. In a public forum last summer, NDC and National Archvives announced they would not challenge the CIA’s claim. The records will now be released in 2017 at the earliest, and maybe not even then. The CIA’s claim that it lacks the time and resources is curious. The agency has had the time and resources to review and release records related to the Katyn Forest massacre of 1942 in which Soviet army killed thousands of Polish military officers, a tragedy in which no Americans died. The NDC has boasted publicly about declassifying records about “How to build a flying saucer,” not exactly a matter of widespread public interest. Yet the NDC and CIA officials contend — with straight faces — that they lack the time and resources to review and release records related to the murder of a sitting American president. The CIA itself deemed the records to be related to JFK’s assassination in the 1970s. In 1976. Agency officials collected the files from agency archives as they prepared to respond to the first congressional investigation of JFK’s death. The records were not shared with the House Select Committee on Assassinations unless they specifically asked for them. The CIA now claims that the records are “Not Believed Relevant” to JFK’s assassination. That claim has never been confirmed by anyone outside of the agency and is probably factually incorrect. In two posts earlier this year: JFK Facts has identified seven important JFK files among the 1,100 documents. Diario de Las Americas via JFK Facts, Translation: Kennedy was killed by the CIA, says a former agent, Iliana Lavastida, Feb. 11, 2014. 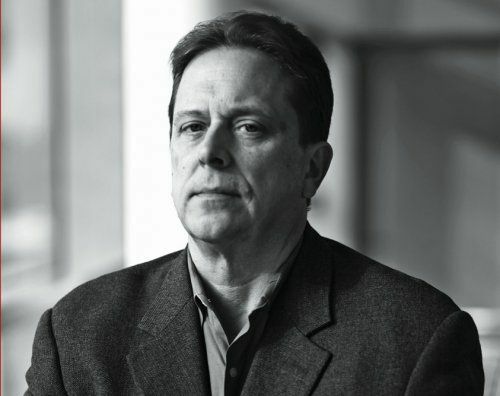 “The death of John F. Kennedy was a coup, an internal conspiracy," says Antonio Veciana with absolute conviction and willingness to reveal what he considers a historical truth. 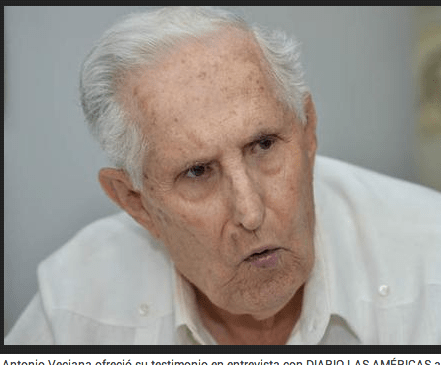 The Cuban exile and former agent of the CIA, shown at left in a television screen shot from his interview, gave his testimony in an interview with the Diario de las Americas 50 years after the assassination in Dallas on Nov. 22, 1963.